We go in search of how these remarkable vessels came to be with the experienced view of Julia Stewart (Managing Director of Imperial) who oversaw the creation and career of Fast Support Vessel 6711 - a leading example of the Sea Axe Range. What were the market demands that sparked the rise of the support vessel? 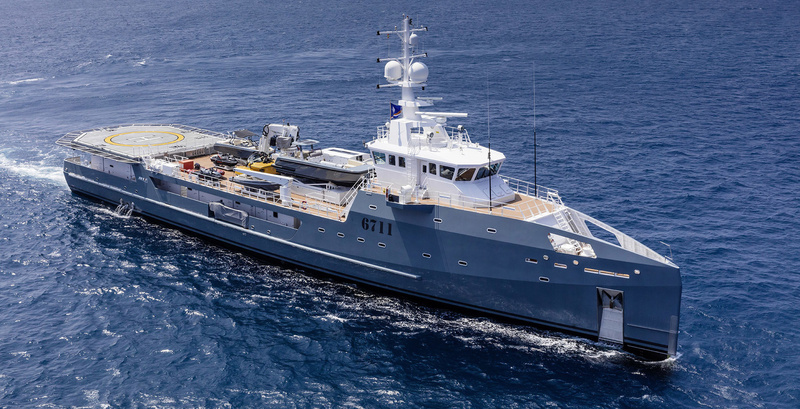 "While all superyachts nowadays are including the best of technologies and comfort, Support Vessels are offering another scope of options in addition. While building 6711 together with DAMEN, we kept in mind the main skill of a yacht of this type: being multifunctional, whatever the conditions and the destinations. Being multifunctional means that a support vessel must be able to welcome supernumerary crew or guests, or even cover the Owner’s last minute requests. It also means being fitted for all water sports expectations: superior Dive Center, even a submarine! 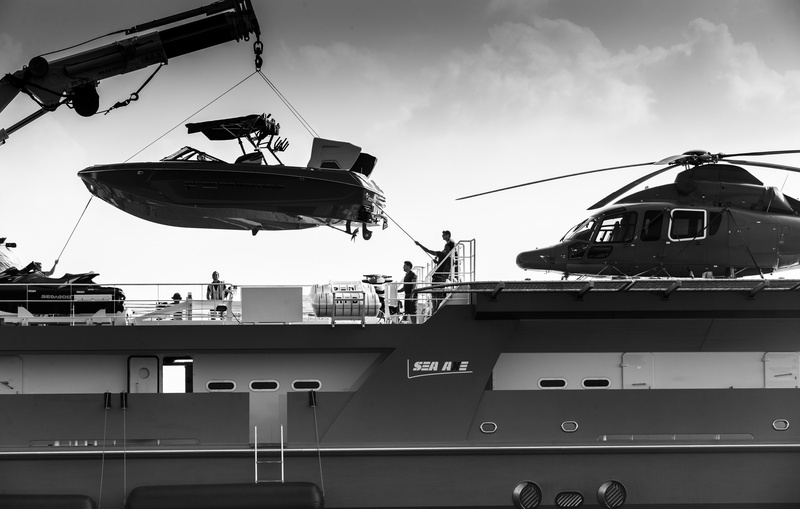 Another demand we see more and more on new build superyachts remains the helipad, but what about having a helipad if you are dependent on somebody to fuel your aircraft? All luxury superyachts don’t have the relevant space for such extra assets and when you’re in the middle of nowhere and you want to explore new places, you must rely on your team. This is why 6711 was built for: thanks to her on-board fuelling station, distance is no longer a problem. And we bet this will be the new standards in the future support vessels." What makes the Sea Axe range, and the support lifestyle, stand out? "Imperial acted as Owner’s Representative, Build Supervisor and since the delivery of 6711, we are the Operational Manager of the vessel. Above all, we are proud to have been one of the very first companies of the superyacht industry to believe in the new options represented by the Sea Axe range at DAMEN, and more generally by the Support Vessel design. They have everything, so they already stand out: from the 275 sqm space on the First deck able to carry any type of tenders or water toys (even a submarine), to such amenities like the professional Dive Center fully-equipped including a decompression chamber, the onboard hospital, the 14m D-Value Helipad with its fuelling station able to welcome most of the biggest aircrafts available, we are proud to have given life to one of the most incredible support vessel currently cruising the seas. We can also mention her 360° Bridge with Helicopter Monitoring System or the interiors outfitted by the famous designer Mark Berryman who took a special care about the life on board, but definitely: the Sea Axe range is the dream for all your next journeys!" 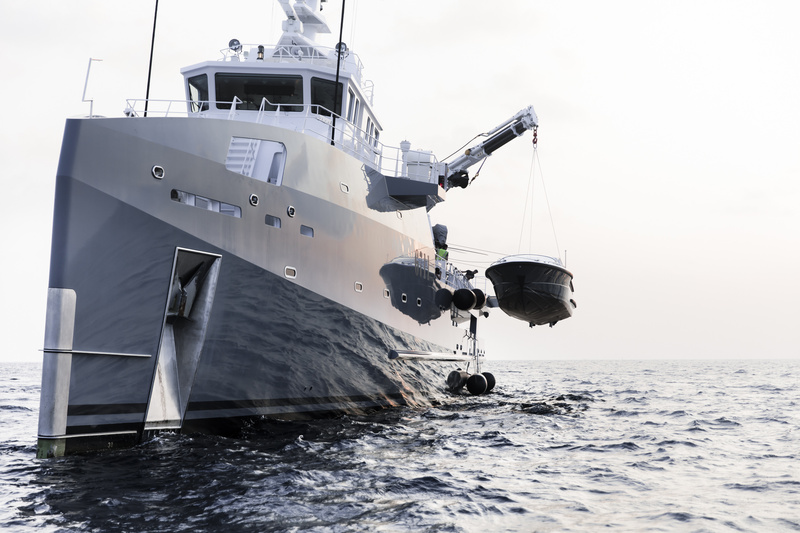 How is bringing a support vessel to life entirely different from a traditional yacht? "Definitely on the safety side: crew training on board a support vessel is different than traditional superyachts. A Support Vessel is above all a working yacht, sometimes not comfortably fitted for guests and it must work smoothly and efficiently in any conditions with an optimal level of communication between all crew and a strong patience to manage all stressful conditions." How does a support vessel offer up a different avenue of adventure? "The Sea Axe range is built for adventures, being limitless is in its DNA. To understand the new trend around the Support Vessel, you must accept that the rules are evolving in the industry and more than ever the 21st century will be one of the new explorers, far away from the classic destinations like French Riviera or Central Caribbean. New owners or charter guests want to explore new territories, face their own fears and push their boundaries far away, they no longer consider their journeys as only relaxing on the sunpads. Thanks to this support range, you can dive remote islands in Greece or South-East Asia, explore underwater wonders thanks to her submarine, fly from an island to another in a helicopter, and create unforgettable family memories that a sole superyacht could not offer. Support Vessel is not only a new trend, it’s a new lifestyle." Delving deeper into the capabilities, Victor offered an insight into the purpose itself, highlighting the autonomy, ability to carry more toys, the guest accommodation for large parties to travel together and safe helicopter operations; proving that these superyacht support vessels, are more than just back up boats but rather a new wave of thinking for adventurous owners.